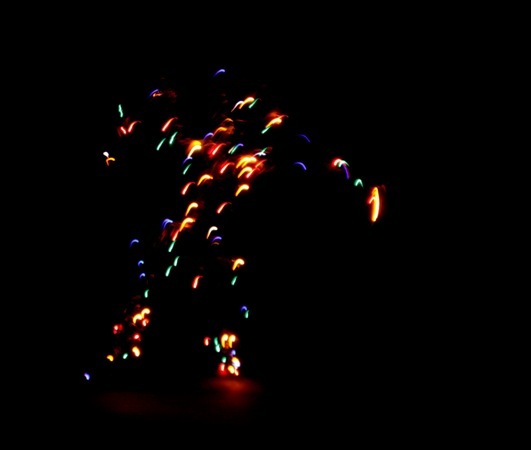 Puppet form: self- luminous string marionette. Height: 71 cm / 28 in. Materials: metal wire, electric wire, 100 electric lamps. First presentation - March 30, 2002, Concert Hall "Baku", Moscow. Electric lamps are shaped in the form of a human body. The vignette is accompanied by trance-house music. See PHOTO ALBUM of MAN OF THE XXI CENTURY.